Other personal devotions and prayers. Please explore the prayer and resource categories on this page to get started. If you have not already, pledge to pray in the Invisible Monastery. Commit to asking Jesus for priestly and religious vocations. 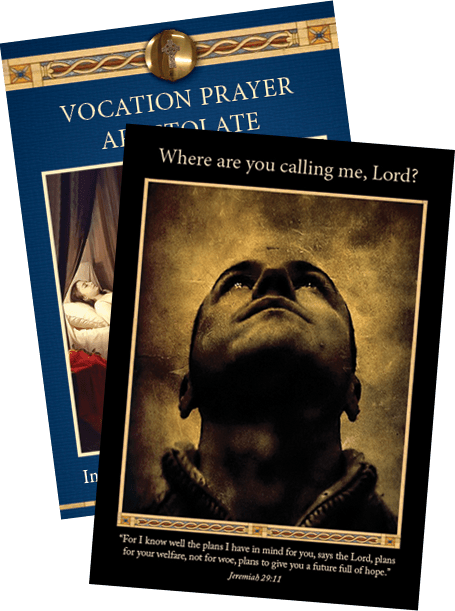 Vianney Vocations offers a large selection of vocation specific prayer cards for both women and men. Take a look at their selection, and order quantities according to your needs.